Comes with two pre-installed Quality Density Print as standard, Powered by OCE Arizona. 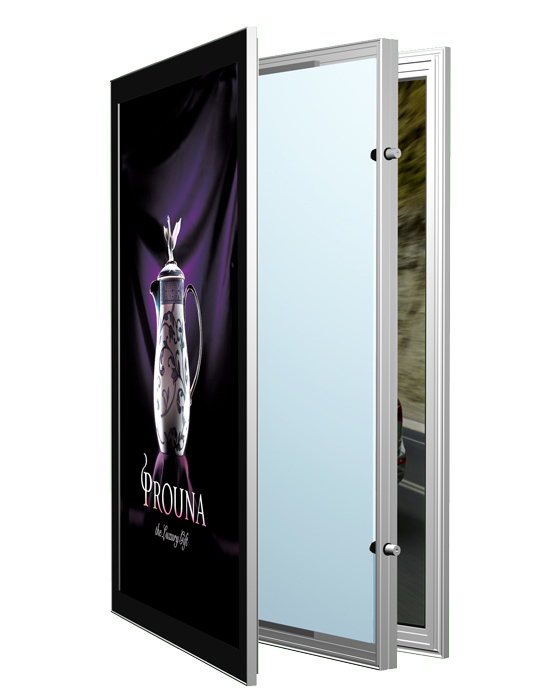 DLXD Hinge Open is designed for small to medium size double sided illuminated display applications that require external use capability with some water resistance and maximum security. 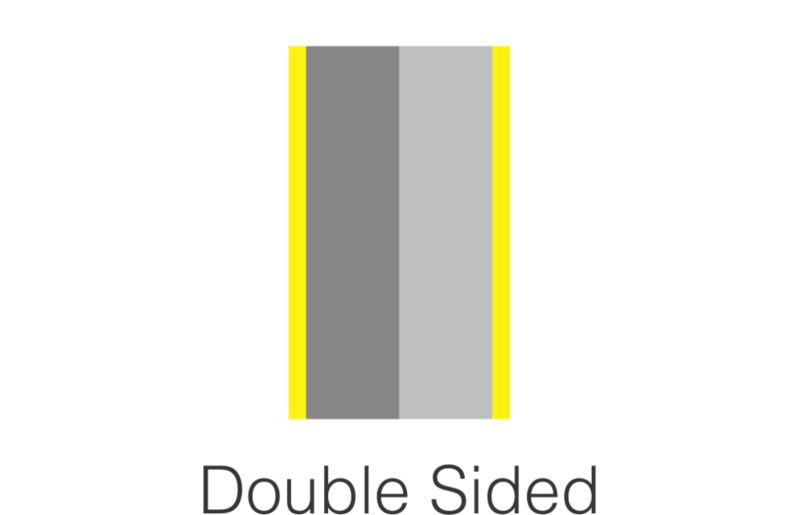 Suitable for under awnings and building foreyard signage. DLXD's chassis is made from the rigid 3 part DLX70 aluminium extrusion, 70mm deep including 2 doors and base and it comes in an anodised silver/satin black frame, with a standard 50mm silver/black matching border. The 30 year non-yellowing edge-to-edge clear acrylic/polycarbonate face is fitted with an easy-to-access turn lock system and the image can be mounted using pre-applied magnetic strips. DLXD is configured with the industry leading double sided lumiPANEL®. Edgelit setup using latest dual 12/24v efficient and durable(approx 40,000 hrs normal usage) high lumen density SMD LEDs, achieve up to 5000lux. Choose from 3000-10000 kelvin colour temperature. AC/DC adaptor/power supply included. Every DLXD is built strictly based on Australian Standard and assembled in our Sydney production facility. DLXD can only be custom built. This product is designed for indoor and outdoor use with 12 month warranty.